"As Easy as Stacking Cups"
On The Amazing Race Season 29 Episode 11, racers must speed stack cups in a specific order, then unstack them in 7.000 seconds or less to receive the next clue. "Riding a Bike Is Like Riding a Bike (Ninh Binh, Vietnam)"
On The Amazing Race Season 29 Episode 10, racers nears their breaking point during the exhausting Roadblock involving scorching heat in Vietnam. "I Thought We Were Playing It Nice (Hanoi, Vietnam)"
On The Amazing Race Season 29 Episode 9, a roadblock has contestants bungee jumping from a bridge into the Corinth Canal in order to receive the next clue. On The Amazing Race Season 29 Episode 8, the contestants continues as the competitors race their way through Athens, Greece for the million dollar prize. "Have Fun and Get It Done"
On The Amazing Race Season 29 Episode 7, the competitors continue on as the partners race their way through Venice, Italy for the $1 million prize. 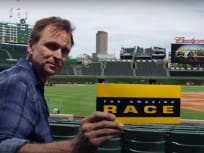 On The Amazing Race Season 29 Episode 6, the competitors continue to face new challenges as the race goes through Milan and Lake Como, Italy. 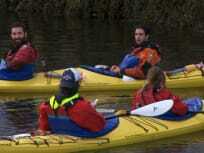 "Have Faith in Me, Broski"
On The Amazing Race Season 29 Episode 5, the race continues as the partners take to riding kayaks as they make their way through Alesund, Norway. On The Amazing Race Season 29 Episode 4, the race continued in Zanzibar, but a tense confrontation made someone question their fate in the game. One contestant loses their passport on The Amazing Race Season 29 Episode 3 and it makes them question their place in the competition. On The Amazing Race Season 29 Episode 2, the teams of strangers must continue to work toghter as the race takes them through Sao Paolo, Brazil. "We're Coming for You, Phil!" 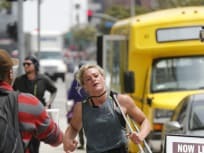 On The Amazing Race Season 29 Episode 1, 22 strangers meet up in Los Angeles and pair up to form 11 teams who then fly to the first destination, Panama City.